Are you looking for bespoke driveway gates which are stylish and durable? Do want to add an element of privacy to your property? If so, you’ve come to the right place! Bespoke Driveway Gates from B&K Timber instantly enhance any driveway by adding a “wow” factor to your property whilst providing you with an increased sense of privacy and security! Handcrafted from carefully sourced sustainable Scandinavian timber which is PEFC and FSC certified, our bespoke driveway gates are perfect for securing your home and for providing you with that extra sense of privacy. With free delivery on orders across mainland UK, there really is no need to look elsewhere! In addition to adding an element of privacy to your property, our bespoke driveway gates are also built to last. 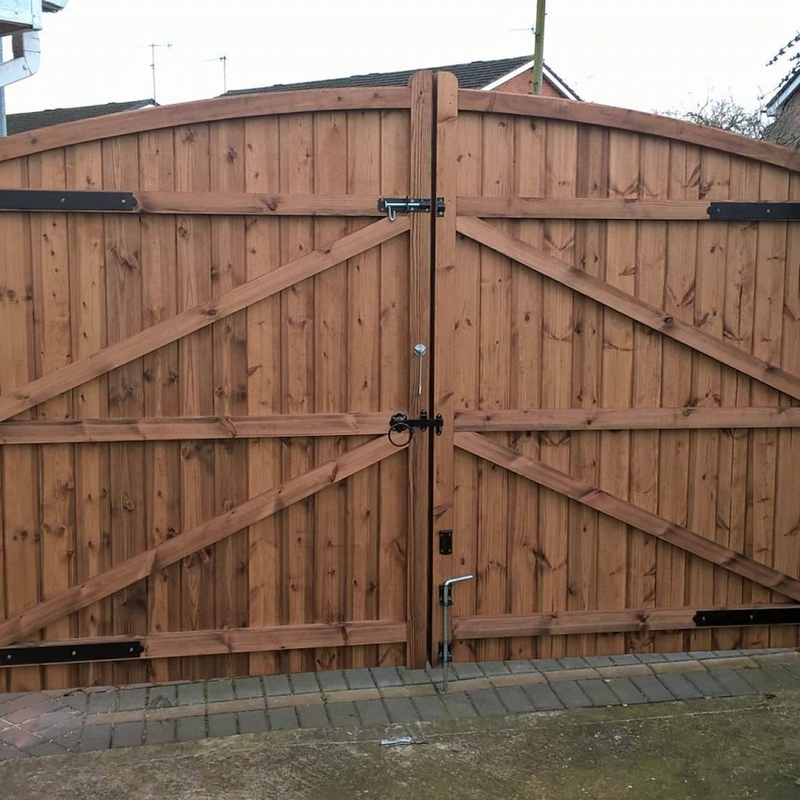 For over thirty years, our team of experienced and highly skilled craftsmen have taken great pride in producing wooden gates which retain their high quality aesthetic whatever the weather throws at them. Every gate is treated with a spirit based wood preservative for long lasting protection against the elements so come sun, rain or snow, your bespoke driveway gate will continue to compliment your property! For high quality craftsmanship and a driveway gate that combines privacy and durability with style, choose B&K Timber today! With our online gate builder and our user friendly advice, creating your own bespoke driveway gate has never been easier. Simply browse our range online, choose your desired style and enter your measurements to view your instantly generated quote! If you require more information about our bespoke driveway gates or you have any questions about the ordering process, please do not hesitate to contact a member of our friendly team who will happily advise you. We provide bespoke driveway gates in Stoke on Trent, the rest of Staffordshire as well as Cheshire, Manchester and Birmingham.